[Photo essay] They await word from those in power whose visions of a modern Kolkata have yet to demonstrably include everyone. 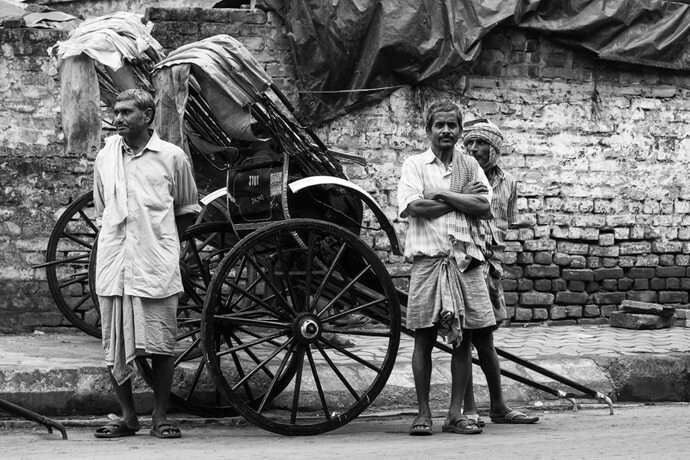 I have always been fascinated by the rickshaw pullers of Kolkata. They are not uncommon to encounter whenever you are commuting through the city. For me, they're more than reminders of India's colonial past or the critical fodder touted by human rights groups. 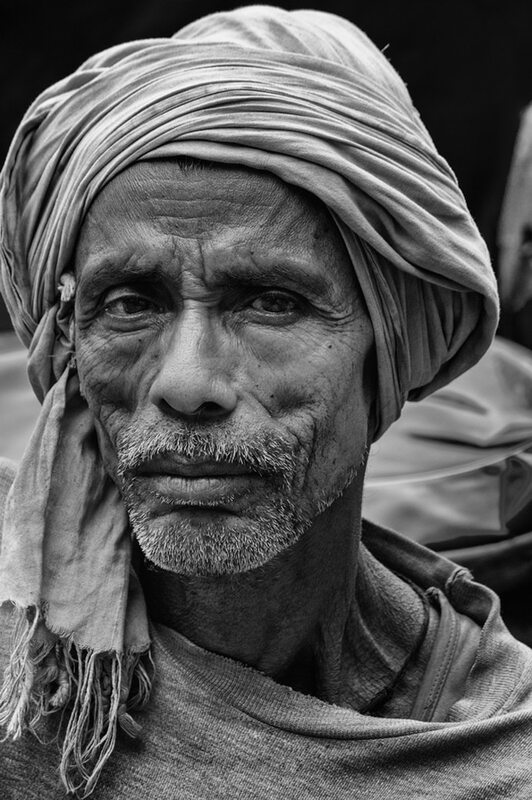 Existentially speaking, they are men, mostly old men, stuck in an impoverished profession that society wishes to abolish to justify its own modernity. The problem is, what to do with these thousands of workers when their jobs are legally white-washed from the history books? The policy makers and the morally-outraged have failed to implement programmes to address the issue of employment thus far. This is why they remain where they are, torn between two worlds and still very much visible to those who are uncomfortable with their presence and to those who just need a ride. 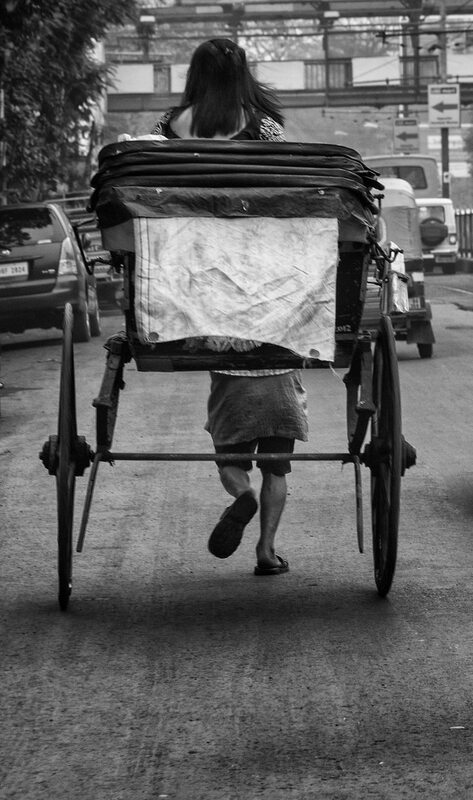 "There were about 6,000 hand-pulled rickshaws in Kolkata." "At last count, we found around 2,000 still plying on the streets," said West Bengal secretary of transport Alapan Bandoyopadhya, in January 2015. 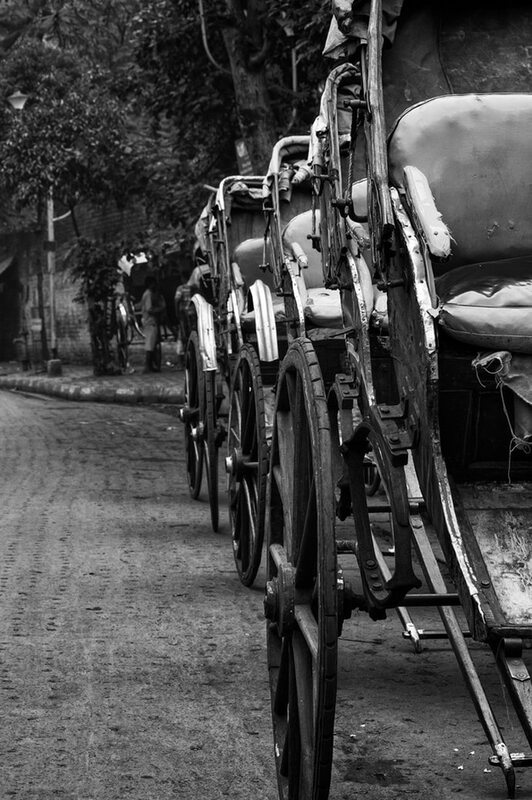 Only a decade ago, the West Bengal government decided to ban hand-pulled rickshaws. At the time, the All Bengal Rickshaw Union claimed that there were about 35,000 people involved in the hand-pulled rickshaw profession, comprising pullers, contractors, and owners. There were some 14,000 unlicensed rickshaw wallahs included in that figure. 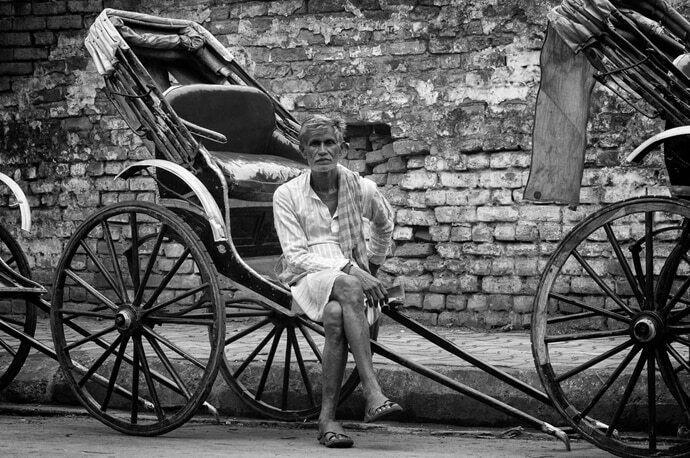 A 2005 survey showed that 90 per cent of rickshaw pullers are homeless, with over half of them living in deras, the garages or places where they park their rickshaws. The pullers earn between 100 and 120 rupees per day. Nearly half of their income goes to the rickshaw owner. The rickshaw wallahs I have encountered in Kolkata over the past couple years have been friendly and eager to work. If you're walking in their territory, they are bound to offer you a lift, especially if you are a foreigner. I always decline as I have no need of their services. I am sure they must think it strange that I prefer to walk or take more expensive forms of transport rather than to pay their very modest fees. But to be perfectly honest, there's a part of me too that cannot bear the image of a poor Indian pulling around a white person. Compensating for their time with a few quick snapshots seemed like the right way to go even if this small act wouldn't be contributing to a permanent solution to their plight. For solutions, they still await word from those in power whose visions of a modern Kolkata have yet to demonstrably include everyone.